Demonstrators participate in a rally to pay tribute to a student who died during a protest in Caracas, Venezuela. President Trump’s instinctive isolationism is meeting its first regional test in Venezuela, as the crisis in the once-wealthy South American country continues to worsen. Civil unrest has entered its fifth week, and shows no signs of abating; protesters have taken to the streets after the economy contracted 15 percent last year, according to figures by the International Monetary Fund. Unemployment is more than 25 percent, and inflation a massive 720 percent this year. To be sure, the history of heavy-handed American interventions in Latin America (including Venezuela) makes anything that looks like American inteference fraught. Still, this is no time for America to walk away. As a humanitarian matter, the suffering in Venezuela is unacceptable. And the United States has geopolitical reasons to prevent a nation of 31 million from sliding into total chaos. A stable Venezuela would leave it less vulnerable to other international powers, particularly Russia, which already has moved in with a strategic financial deal involving Citgo, the state-run oil company that accounts for much of Venezuela’s diminishing wealth. The country’s crisis has its roots in the late President Hugo Chávez’s own brand of socialism: an overreliance on oil exports, excessive social spending, price and currency controls, and state regulations. President Nicolás Maduro assumed office four years ago after Chávez died, continuing his damaging economic policies while supressing the opposition.The results are staggering. Over the past year, nearly 75 percent of Venezuelans lost an average of 19 pounds each. The infant mortality rate has alarmingly risen in the past few years to 18.6 per 1,000 live births — above Syria’s rate of 15.4. It is estimated that around 85 percent of medical supplies are simply unavailable. Venezuela is also drawing support from Russia, which recently loaned the cash-strapped government $1.5 billion, with nearly 50 percent of Citgo used as a collateral for the loan. The move alarmed US lawmakers, who wrote a letter to Treasury Secretary Steven Mnuchin, warning the Russians could suddenly become the second-largest foreign owner of US domestic refinery capacity. It has been the hallmark of socialism in Venezuela: free, high-quality medical care. Late President Hugo Chávez changed the constitution to guarantee such right to all Venezuelans. But that same healthcare system is now crumbling under the weight of an economic crisis, causing a severe shortage of normal medical care and many avoidable deaths. Venezuela has grown increasingly alienated from the US and its Central American neighbors, but its political estrangement doesn’t justify the lack of urgency from the international community. Although many places call out for medical intervention, Venezuela’s growing medical collapse deserves a significant dose of humanitarian aid from near and far. 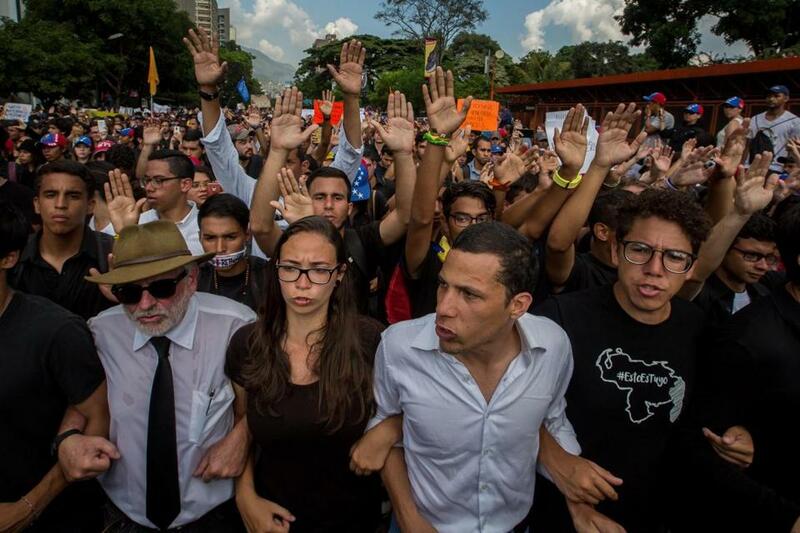 To prevent that outcome, and to ease the political and humanitarian crisis, the United States should consider broadening financial sanctions on Venezuelan officials until the regime holds elections and ends its repressive tactics. (The Obama administration sanctioned several Venezuelan military officials accused of human rights abuses in 2015.) For all the government’s socialist rhetoric, many of Maduro’s officials seem to be quite fond of their Miami homes and bank accounts. There may be no more direct way of gaining the attention of the individuals who are prolonging Venezuela’s crisis.